1) Indicate you are going to attend. 2) Volunteer to help "work" the auction. 3) Select one of the food items you will prepare for lunch. 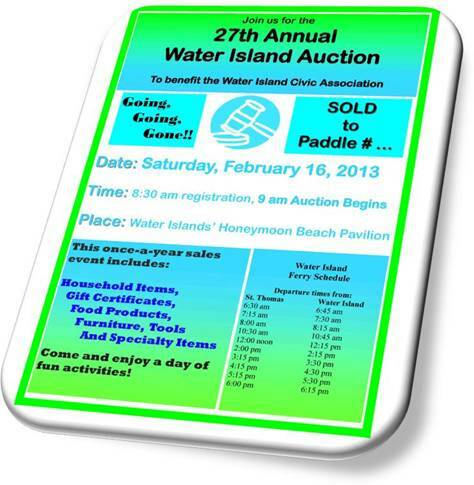 The auction starts at 9am, so be there at 8:30am to register for your "bid paddle". Plastic chairs are available, but bring your own favorite beach chair if you will be more comfortable. As always the bar will be open, and lunch will be served, so come early and make a day of it.